You have a question about your energy usage, you’re moving and need to start service or maybe you need a little extra time to pay this month’s bill. NES service advisors are ready to help. We strive to provide positive experiences for customers, whether it’s on the phone, online or in person. Helping to lead that charge are two service advisors who are committed to exceeding customer expectations and call center guidelines established by NES. 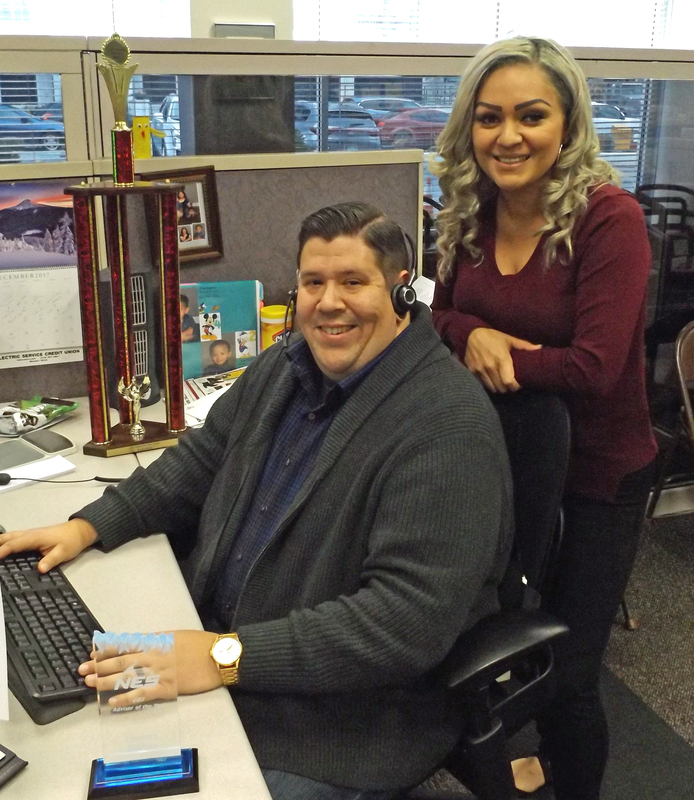 Lorena Garcia and Lance Wyss both earned the distinct honor of Service Advisor of the Year by qualifying as top advisors of the month the most often throughout the year. Together they have more than 20 years of combined customer service and call center experience. Both advisors have completed all phases of customer service training, have no justified complaints or errors and have met the standards of excellence in monitoring, productivity and reliability. When asked how it feels to be recognized as top advisors at NES, both seemed surprised by the honor. One can’t help but notice Lance and Lorena’s down-to-earth work style. Neither seemed willing to toot their own horn. So, we’ll do it for them. Congratulations to this year’s outstanding Service Advisors of the Year! Call 615-351-4530, email [email protected] or fill out the form below.